Are you in need of ceiling fan installation near Cameron Park and you want it installed professionally but don’t know where to find a good contractor? Well, look no further. You have found the right company. Monster's Electric can be at your home and at your service today if a ceiling fan installation in Cameron Park is what you need. Our professional staff is always here to help. Your new ceiling fan will be ready in no time. Call today for a free estimate of a ceiling fan installation. Most find that when its hot outside in Cameron Park, your ceiling fan can be your best friend, keeping you both cool & comfortable at home. Ceiling fans are easy to use, but most will find that they are not easy to install. To be certain that you have your new ceiling fan installed properly and in a timely fashion, choose Monster's Electric for a free quote today. 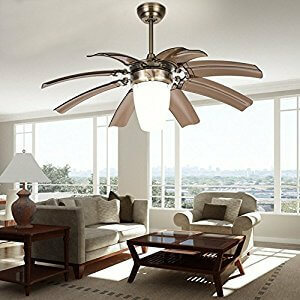 A Ceiling fan installation Cameron Park technician can come over to your house and install your ceiling fan in no time at all. With several years of experience, our Monster's Electric Professionals can install any type of brand and or model. After an inspection, they will successfully wire the new ceiling fan to your electrical main and breaker box. With monster's Electric, it has never been a simpler process to get your new ceiling fan installed. The best part about Monster's Electric is that you are able to enjoy a quality service at a price that won't break the bank. You will find that we always value every single customer and not only do we offer several services but we also offer the best prices. This also includes the installation of a ceiling fan that you have already purchased. Even if you just need help hooking it up to the existing wiring, we can help. If you don't see the service that you are interested in on our website, please call to make sure. If we do offer the service we can send out one of our ceiling fan installation Cameron Park pros. You don't have to be miserable on those hot days without a ceiling fan. Choose Monster's Electric for the fastest most efficient and cost-effective installation service today. Ceiling fans can be attractive centerpieces for your room while adding value to the home as well. They're very popular in businesses also. They are a cost-efficient solution to keep the larger areas in your building a little bit cooler. While also adding a nice aesthetic look. Since we know that installing a ceiling fan can be a little bit tricky. Its recommended that you have a qualified electrician do the work for you, this will help to protect your home as well as your family from electrical shock, injuries or even a fire. These can all be results from a poorly mounted and installed ceiling fan. Many of our Cameron Park customers have thought that they have installed their own ceiling fan properly, only to realize later that it didn't function at all. We recommend that you save yourself a headache and hassle of doing your own ceiling fan installation in Cameron Park and call Monster's Electric for an affordable and fast ceiling fan installation near Cameron Park. We have always had the reputation of being one of the best and trusted electrical contractors in the area. With many years of practice in safely installing both commercial and residential electrical systems, ceiling fans and Lighting. For your own protection, it is recommended that you hire a company that is fully licensed bonded and insured. Residential ceiling fans can transform your room into a beautiful new ceiling fan. That circulates cool air during the summer and helps push warm air down during the winter. Not only do they add to a home's value, but it will save on your utility bill year round as well. For a proper ceiling fan installation of a new ceiling fan, you can trust that Monster's Electric will get the job done professionally and affordable. We find that business of any size is able to benefit from ceiling fans. They will add a new and stylish aesthetic to any salon or shop. Industrial ceiling fans are able to help circulate air in a larger warehouse or supermarket. There are many ceiling fans that can help a business save on their electric bill. Since installing even one ceiling fan can be a hassle, needing several fans installed can be quite the undertaking. We recommend that you call Monster's Electric for you commercial ceiling fan installation in Cameron Park. If you are interested in saving on your power bills while adding value and beauty to your business or home, Give Monster's electric a call today to schedule a consultation with a ceiling fan installation. Circulating air around your home or business and proper venting are important when it comes to cooling any size area. Ceiling fans can move hot air and cold air around. So that you can help not only to keep your home cool during the summer but warm during the winter, which will help to save money on utility bills. Exhaust fans are good at helping to remove steam or smoke or other unwanted particles out of your home or business. This will make it much easier for you to breathe cleaner air. At Monster's Electric, our ceiling fan installation Cameron Park technicians are ready to help! Your happiness and satisfaction are very important to us at Monster's Electric our repair and replacement specialists are standing by to help you with any ceiling fan need. A ceiling fan in your business or home is able to bring you any variety of benefits. When you find your self-dealing with a hot or humid summer, your ceiling fan can cool down the temperature in a room, which will help you and your family or staff comfortable while reducing your utility bill. And if you think that your fans will go unused during the cold winter months, you are actually mistaken. Heat rises to the top of the room, so when its cold you can use a fan to circulate that warm air back down and through the rest of the room. The low operating cost for ceiling fans is just one more benefit to have a fan installed in your home or business. Are you worried that the ceiling fan installation process will take too long and be too costly? As long as you are working with Monster's electric you won't have anything to worry about as our technicians are skilled electricians. Your installation will be affordable and done quickly. 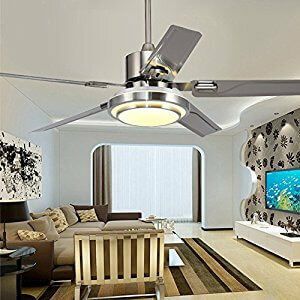 All you need to do is let us know which room you want your new ceiling fan in and we will help to find the right positioning and begin the installation right away. We can remove or replace an existing light fixture as well. A ceiling fan will make a huge difference in your home or businesses climate, it can both cool and help to warm your home or business at a much lower cost than most other appliances. Professionals will tell you that a ceiling fan is able to save up to 35%-40% on your summer cooling expenses and up to 8%-20% during the winter. 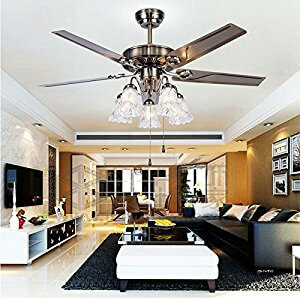 Installing a ceiling fan is a task that is best done by an experienced electrician it takes careful tuning and tools for the installation to be done correctly. By installing the ceiling fan correctly it will give you the best results. If you want to get the most out of your investment than you'll want to call Monster's Electric to have a ceiling fan installation Cameron Park technician come out to your home and get the job done right. We will inspect the blade clearance to protect your ceiling but to provide the best airflow possible. We will make sure that you have a good power supply and junction box. It is important to make sure you have the correct electrical service to power your new ceiling fan. You have to make sure that you have the right power to the jbox. It is important to make sure that you possess the appropriate electrical tools and experience to work with electricity. You will then need to assemble the fan. Next, you will install the decorative cover. The installation requires the mounting of a new fixture sometimes. This will need to be cover to keep the aesthetic appeal. Be sure to double check all wiring and that it meets the National Electrical Code. As electricians, we know all the standards that are needed for your ceiling fan installation in Cameron Park. When it comes to getting the best airflow out of your ceiling fan you will need the right blade placement. If you aren't sure please feel free to call for help. If you find that this whole process seems a little daunting the give us a call today. By the time we are done with the process you will be wondering why you ever thought to do it yourself in the first place. Let us help to keep your home or business cool during the summer and warmer during the winter.